Advancements in the world of medicine are slowing down due to the lack of people participating in clinical trials. These barriers make recruiting difficult. This statement may come as a surprise, as most evidence seems to point in the opposite direction. After all, we are living in the 21st century. Rapid technological advances have enabled the development of new surgical techniques, imaging capabilities, and diagnostic tools. Scientific discoveries continue to progress our understanding of the human body. Literature frequently exalts medicine as a dynamic and evolving field. Medicine is still falling behind. While technology, discovery, and literature are essential to the evolution of medicine, they are worthless if they cannot be translated to the bedside setting. Fortunately, this trend is reversible – and the bridge connecting stagnancy to advancement was built long ago. We’re talking about the ever-so important clinical research trial. Randomized clinical trials (RCT) are the gold standard used by the U.S. Food and Drug Administration (FDA) for approval of new medical treatments. Unfortunately, patient recruitment is becoming more difficult. According to the National Institutes of Health (NIH), nearly 80% of all trials cannot meet their recruitment goals. Data from the FDA show that participant retention rates in the US have dropped 30% since 2001. The effect of these statistics is resounding. Failure to recruit and retain a sufficient number of research participants leads to a higher percentage of failed trial outcomes, which minimizes the number of new medical treatments brought to market. Consequently, the cost of new treatments that actually do make it to market increases. This cost burdens insurance companies, limits physicians, and ultimately puts unnecessary strain on the patient. The research industry must change to overcome these recruitment barriers. With only 1% of the population participating in clinical trials, we must improve recruitment by appealing to both healthcare professionals and the public. If we are able to efficiently allocate our efforts in research, everyone will benefit from better (not to mention more affordable) treatment options. General mistrust serves as one of the greatest barriers to clinical trial participation. For starters, many people have negative feelings about the intent and outcome of human research trials. Though every trial is designed with the best interest of the participant in mind, many equate cooperating in a research study to feeling like a guinea pig. This issue stems both from a misrepresentation of clinical trials in the public sphere and from the rather unethical history of medical research. While it is true that much of our knowledge in medicine was discovered through questionable experimentation methods in the nineteenth and early twentieth centuries, this is surely a thing of the past. Sorry to spoil the fun, Victor Frankenstein, but your experiment just isn’t up to par with modern research standards. Today, every clinical trial is subject to rigorous review by an Investigational Review Board (IRB). This review process ensures that the benefits of research participation outweigh the risks. It is, however, the responsibility of researchers and physicians to make a persistent effort to educate their patients about this process, and establish trust that participating in a study will be advantageous to their health and the health of society as a whole. This effort will require the promotion of positive trial outcomes in the public arena – whether that be in the media, at advocacy groups, or through the National Institutes of Health. Over time, these publishing efforts have the potential to bolster public confidence in human research. Meanwhile, society has another important change to make. We must regard research participants not as “subjects” or “guinea pigs”, but as heroes. Clinical trial participants must be given the same level of respect as organ donors. Their contributions to medicine may be instrumental to saving lives in the future. The next factor that may intimidate potential research participants is what we refer to as the “scientific language barrier”. This barrier first presents itself during the consent process at the start of a trial. Consent forms are often too wordy and rely too heavily on complex scientific terms – which can be overwhelming for someone deciding to participate in a new study. 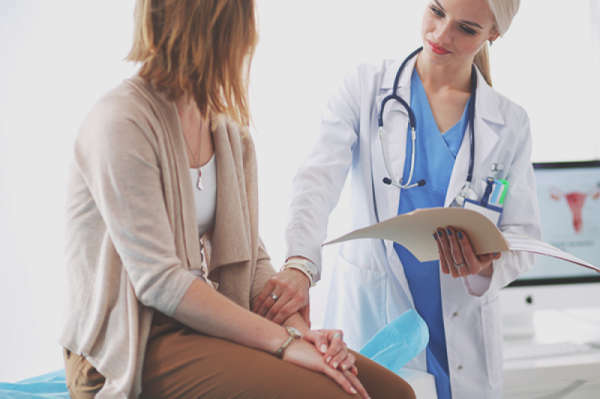 The process of consent as a whole cannot be eliminated, as this is an essential way for physicians to ensure that participants fully understand the parameters of the study. Regulatory boards also require that studies outline the research parameters in exquisite detail. Thus, our solution to this issue lies in the form of a crash-course summary that is supplied in conjunction with the bulky consent form. The purpose of this summary is simple, but important: it will allow participants to easily understand the significance of the trial in a concise and simplistic format. In a single paragraph, this summary could detail the purpose of the study, the requirements of the participant, and the potential benefit to society – all of which would help the patient make a more informed decision about participating. The application of a study summary as detailed above could extend beyond the consent process. Physicians would be able to offer these summaries to patients as a way of introducing them to a study without overwhelming them with a barrage of scientific jargon. Offering multiple study summaries at a time would allow the patient to choose which study they wish to participate in. This would humanize the process of enrolling in a trial by reminding the patient that this is a decision they are making to hopefully improve their health. Finally, we address the role of minority groups in research studies. In the past, racial minorities and individuals in outlier age demographics (i.e. above age 65 or below age 18) have been excluded from mainstream research studies. Current studies still struggle with recruiting patients from these populations. This is due, in part, to the strict exclusion criteria enforced by the study design. Some exclusion criteria can prevent patients from disadvantaged backgrounds from meeting the eligibility requirements of a study. For example, if a patient does not read or speak English fluently, this may bar their participation. To avoid this issue, the study design should carefully consider the target population that would be using a drug or device, and should actively tailor the study to include participants who properly reflect this population. As a hypothetical example, research trials for a new cancer drug should recruit a majority of individuals over the age of 65 for their study, as this is the age group with the highest incidence rates of cancer. This demographic barrier is also an issue of accessibility. As our society becomes increasingly diverse, it is absolutely necessary to improve accessibility to research trials. This is particularly important when it comes to recruiting individuals with lower socioeconomic status. In this regard, physicians and pharmaceutical companies should be allowed to incentivize potential participants by offering sick leave time for their research contributions. Researchers should also be permitted to offer larger payments to their participants. This combination of incentives could encourage more people to enroll in a study. Overall, this strategy might actually save money - as the cost to society will be higher if the trial is unsuccessful due to recruitment issues. And as a bonus, increasing participation from underrepresented groups will significantly enhance individualized medical capabilities when treating a highly diverse population. In addition, clinical trials should reflect what Is going on in real life. For example, trials for mental illness need to include all forms of co-morbidities associated with the mental illness and treatments for these co-morbidities. Very frequently trials that are supposed to be focused on a very large clinical population – e.g. Generalized Anxiety Disorder (GAD) - actually test treatment for a very narrow and often non-existent population or “pure” GAD. All of the major epidemiological studies showed that nearly 90% of those dealing with GAD have some co-morbidity. That restricts the recruitment and makes the study less useful in assessment of effectiveness of the medication for the larger group of GAD that is highly co-morbid. The same thing happens when pharmaceutical companies restrict any co-existent treatments. That is not a reality. In real life, most of the people with GAD or any other chronic mental illness are on some form of treatment. Stopping treatment or excluding this patient diminishes the usefulness of the trial because in “real life” the new treatment will be added to whatever people already were treated with. The final hurdle that must be overcome involves encouraging research sites to collaborate more with each other and with clinicians in the area. This task goes beyond research-specific centers, and revolves around the involvement of hospitals, county clinics, and health maintenance organizations (HMOs). We all must recognize and appreciate that our quality of life has improved because of the new medications and devices that were tried and tested during clinical trials in the past. Now, we are facing an uphill battle in the translation of new drugs and devices into the clinical setting. Help us make the climb. Together, we can prevent medicine from falling further behind. FDA Executive Summary Prepared for the October 11-12, 2017 Patient Engagement Advisory Committee. FDA, https://www.fda.gov/downloads/AdvisoryCommittees/CommitteesMeetingMaterials/PatientEngagementAdvisoryCommittee/UCM579153.pdf.